It must be at least six years since I first spoke with Bernard Walsh. Even then, long before Irish whiskey projects became fashionable, he was dreaming of one day distilling himself. An impossible aspiration, I thought, but on Thursday I was down at Royal Oak, Carlow, turning the sod on Walsh Whiskey Distillery. I parked near the gate of the 40-acre estate and walked up the long drive towards Holloden House, a mid-18th century pile. To my left was a stubble field, recently harvested of its grain. To my right, a line of 200-year old oak trees. Beyond the house, the estate backs on to the River Barrow. Grain, water, oak... the recipe for whiskey is written right into the landscape. Some of the magnificent trees dating from the early 1800s dotting the estate, including seven species of oak. There are about 200 oak trees on the estate, comprising seven different species. 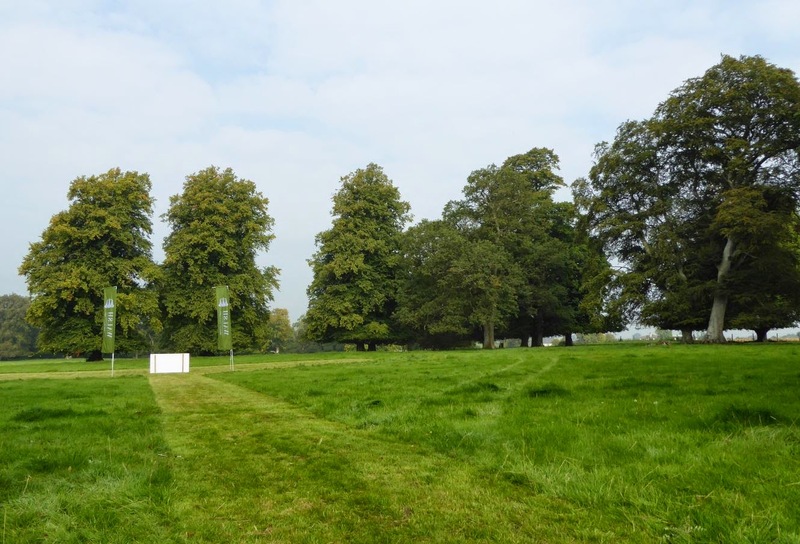 About 200 species will grow in Carlow, however, and part of the plan is to establish an oak arboretum under the guidance of a horticultural consultant. 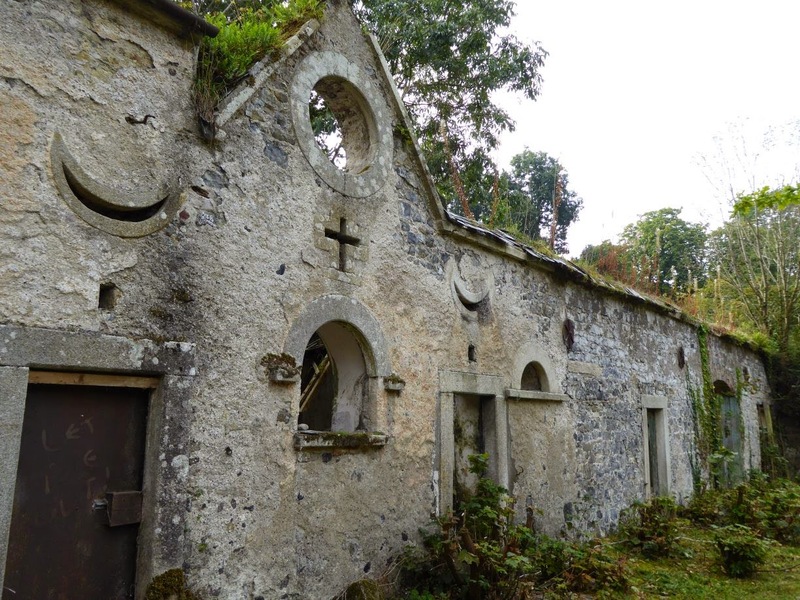 Holloden House is a picturesque, overgrown ruin. 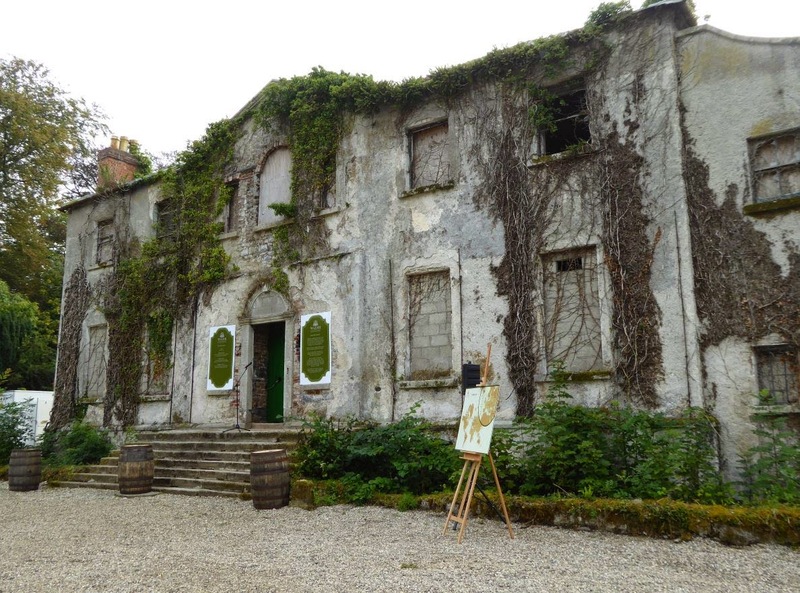 It won't be part of the distillery proper but will welcome visitors for tastings in fine style when it is eventually restored. 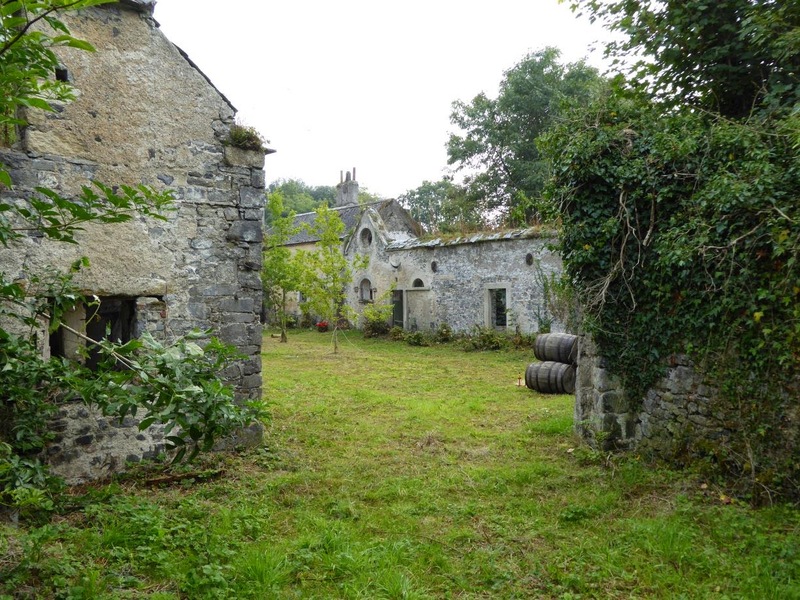 The distillery will be a short stroll from the house across a wooden bridge. It's compactly arranged to present the whole process to visitors from grain delivery through milling, mashing, fermenting and distilling to casking. It's then only a tidy barrel-roll out the back door to the onsite maturation warehouses which can hold up to 60,000 casks. 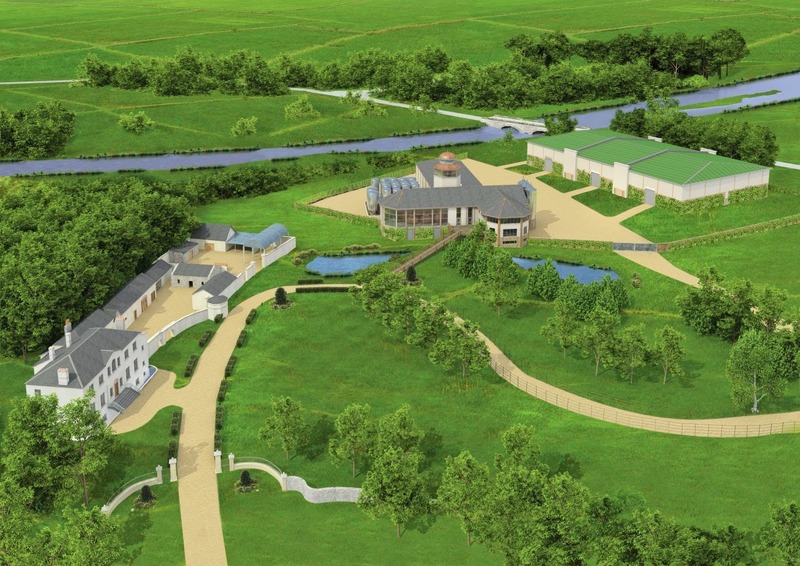 Aerial view showing the river Barrow behind, Holloden House on the left and the new distillery on the right. Image courtesy of Walsh Distillery. The Irish distilling renaissance has been awaiting a confident, contemporary architectural statement. This is it. There are no pastiche accoutrements like "pagoda" roofs that ape the appearance of Scottish distilleries. A clean, modern line is achieved with natural materials: stone, oak posts, slate, copper. The distillery wears its newness with assurance, nodding politely to its 250-year old neighbour but ready to begin forging its own history. The building - designed by architect, James O'Donoghue - showcases its purpose by displaying the copper pots behind a huge glass wall, and by making a feature of the column stills and their height, wrapping them in a tower capped off in glass and copper. Although the River Barrow flows right behind the distillery, water is so important to the whiskey-making process that it has been given added prominence in the form of two ponds in front of the building. The distillery's cooling water is drawn from the river and circulates through these ponds. A cascade between the ponds contributes the sound of water to the ambience of a distillery visit. Process water will come from the Barrow Valley Aquifer, directly below the distillery. Construction should begin in October for completion by the end of 2015, with commissioning of up to 3 months duration from January 2016. 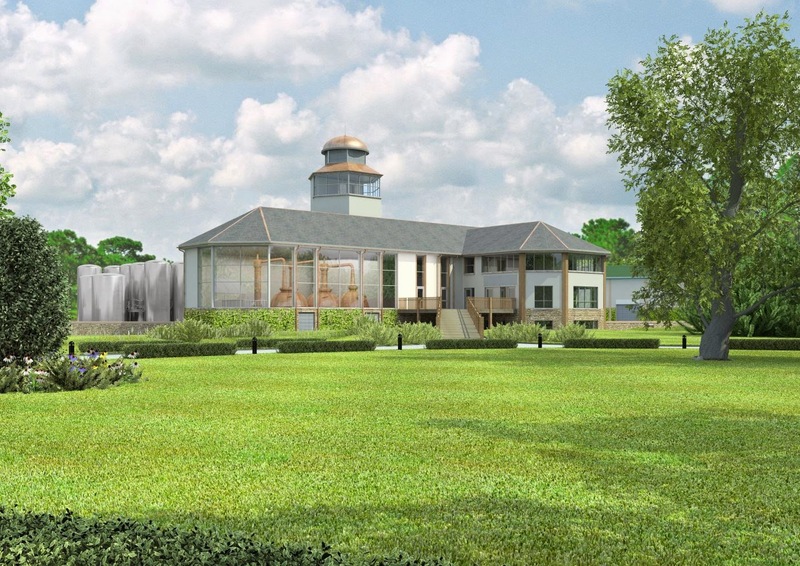 The distillery will make all three styles of spirit - pot still, malt and grain - under one roof. Distillery capacity is 2m litres of pure alcohol a year, which translates into 500,000 cases of whiskey (a "case" is 9 litres) or 6m bottles. The whole Irish whiskey industry currently shifts about 6m cases a year so Walsh's output will make a fair splash in the market. Bernard reckons that by size he will rank just after Midleton, Tullamore, Bushmills and Cooley. The pot still and malt spirits will be triple-distilled in pots already on order from Forsyths in Scotland, who are also supplying much of the rest of the distillery kit. No attempt will be made to replicate the existing Irishman and Writers Tears range - currently made at Midleton - with the new stills. Those whiskeys will continue to be made under contract by Irish Distillers while new expressions are created from the Royal Oak spirit. 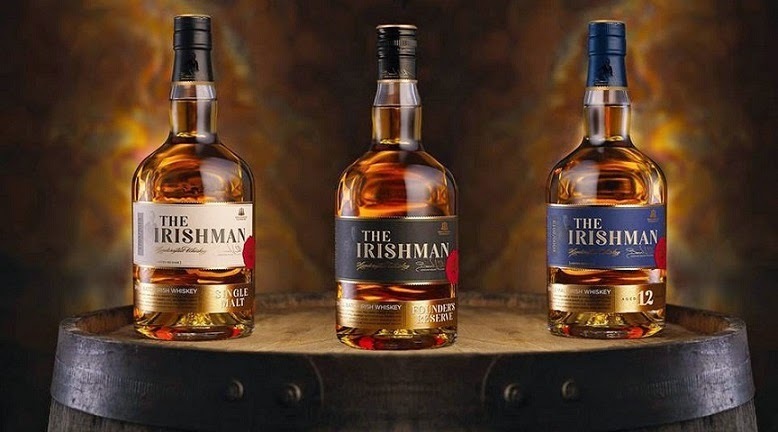 Walsh Whiskey has released both single malts and "blends" of malt and pot still but has never produced a blend in the usual sense of the word, i.e. a whiskey that combines grain with malt and/or pot still. In the new distillery there will be a two-column Coffey still producing grain whiskey. The continuous throughput of a Coffey still produces a lighter style of spirit, very efficiently. It therefore enhances the financial viability of the distillery. It also allows full flexibility when supplying the needs of private labels, something that Walsh has indicated it will do. Bernard tells me he hopes to use Irish-grown wheat in his column still (imported maize is more common in the industry here). The barley for the pot still and malt whiskeys will be sourced locally too, with malting done by Minch Malt, about 35km away in Athy. The distillery should achieve "field to glass" control over the product it makes with farming and malting done in the vicinity and everything else done on site. The maturation story has a nice twist. The use of ex-bourbon casks has always been a hallmark of Walsh whiskeys (not exclusively though) and no doubt bourbon will be the mainstay of the new whiskeys too. But Walsh Whiskey Distillery is a joint venture with Italian family-owned company, Illva Saronno, which is in the wine business (besides owning Disaronno, Tia Maria and many other alcohol brands). Walsh already has its eye on reusing those wine casks to age its whiskeys. Distilling expertise is being provided by Stuart Nickerson, a Scottish whiskey consultant who brings over 30 years of experience in the business, covering production, marketing and management. Ready to dig. Photo courtesy of Walsh Whiskey Distillery. 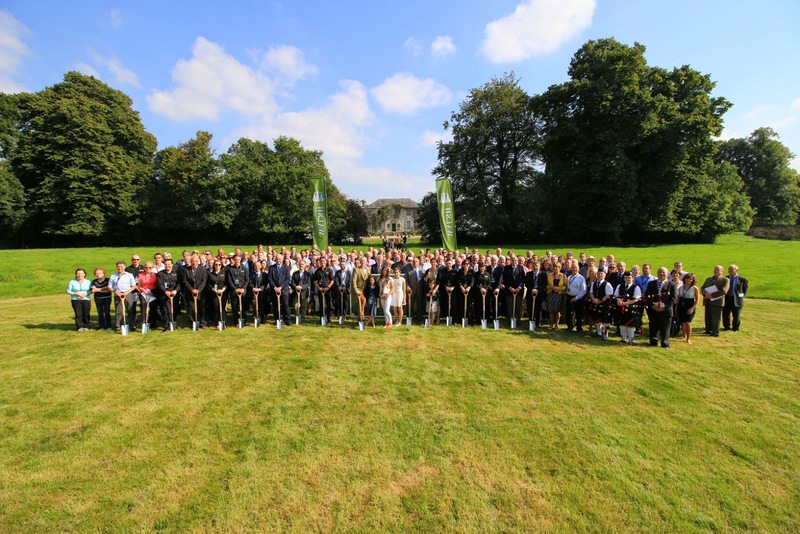 All 200 guests at the sod-turning ceremony last Thursday had a chance to wield the spade. Only a handful work directly for Walsh Whiskey but most of the rest, I would say, have been involved in some way in Walsh's success to date, or will be with this new phase. Some we heard from during the day: the maltster, the distiller, the architect, the engineer; many were publicly thanked, including the bottler, the county council planner, and representatives of Enterprise Ireland, Bord Bia & the Irish Whiskey Association. Distributors and marketers are key, of course. It's one thing to make the stuff but how do you get consumers to realise it exists and then buy it, particularly when 95% of your sales are outside Ireland. 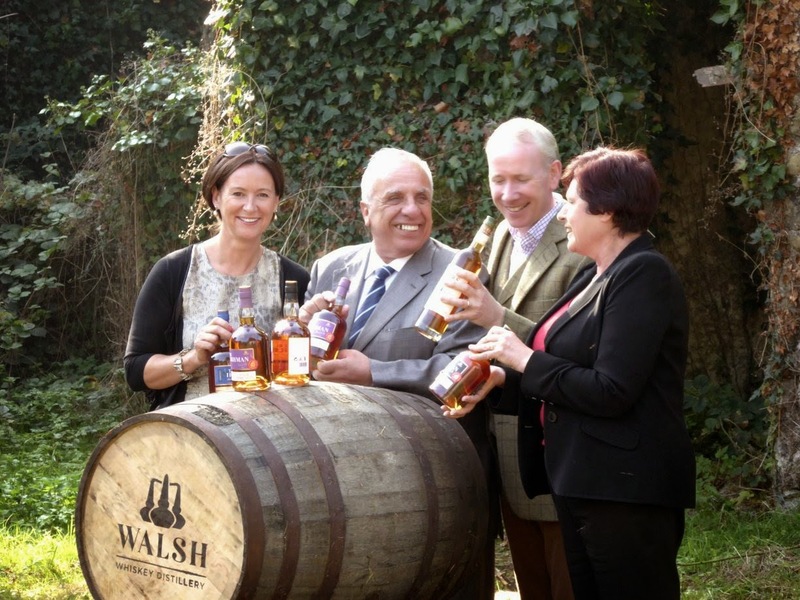 Walsh sells to 30 countries and its distributors in 12 of those travelled to Ireland for the event. They have to be evangelists for the product, winning over shops and bar owners who, in turn, must persuade their customers to drink it. It takes a strong marketing message emanating from HQ to travel that distance, a message that will be greatly reinforced by having a working distillery with a visitor centre set on a grand estate. Of course the Italian side was well-represented, led by Illva CEO, Augusto Reina. Besides financial support, Illva also brings serious distribution muscle to the partnership, with a network stretching to 160 countries and with particular strength in the important markets of India and China. At the moment, Walsh seems to be shifting as much liquid as it can lay its hands on but when the taps open at Royal Oak, the pipelines to the rest of the world will be ready. I'll be ready too, with a glass. I'd like to congratulate the founders of Walsh Whiskey Distillery, Rosemary & Bernard Walsh, everyone else at WWD, and their new partners Illva Saronno on this exciting new adventure for Irish whiskey. Slaínte! Salute! I feel very privileged to have helped turn the sod on a new distillery, especially for a company whose whiskeys I enjoy so much. Thank you, Walsh Whiskey, for the invitation and to Bernard Walsh, Shane Fitzharris and Woody Kane who have all been so helpful over the years with information for this site. Thank you, too, to Conor Dempsey, of Dempsey Corporate, who is the guy you want running and MC'ing an event like this. It was elaborately arranged, with many moving parts, but it all went off as beautifully and enjoyably as the occasion deserved.